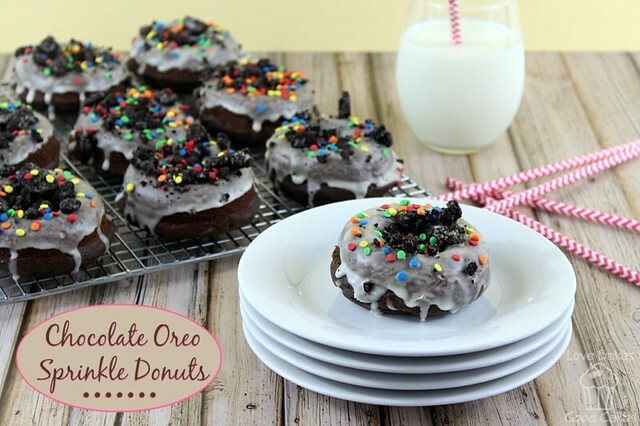 Donuts ….. lots and lots of donuts! That’s what I’m sharing today! 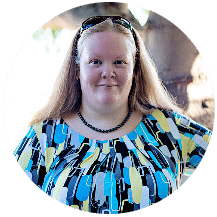 It’s the 12th of the month, so that could only mean one thing … #12bloggers time! 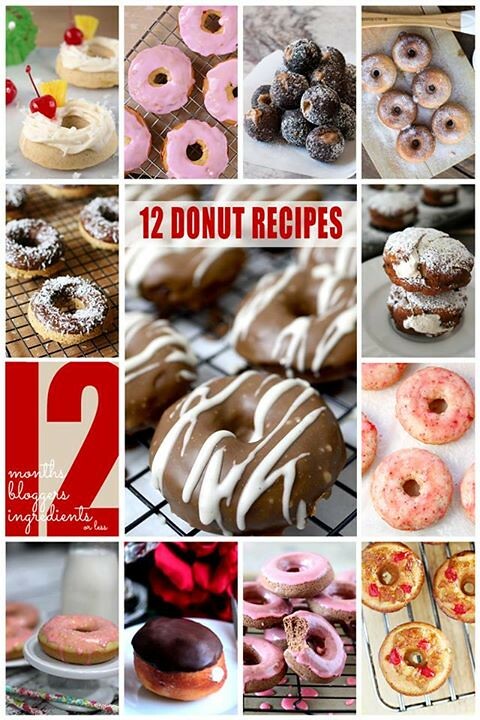 That means you’ll be getting 12 different donut recipes, all with 12 ingredients or less from 12 pretty awesome bloggers! *fist bump* I don’t know about y’all, but I am always down for some donuts! 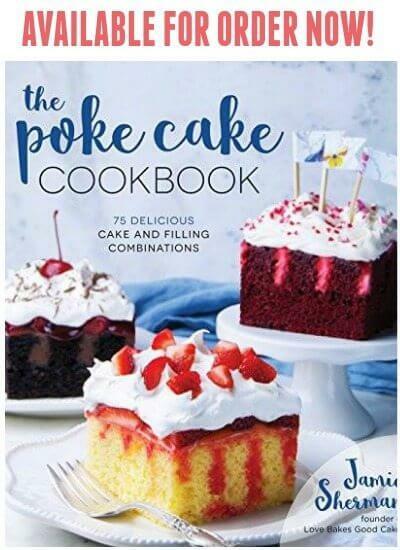 Be sure to read all the way to the end for all the deliciousness! My mind is thinking about all things Spring. It just happens to be my favorite season. 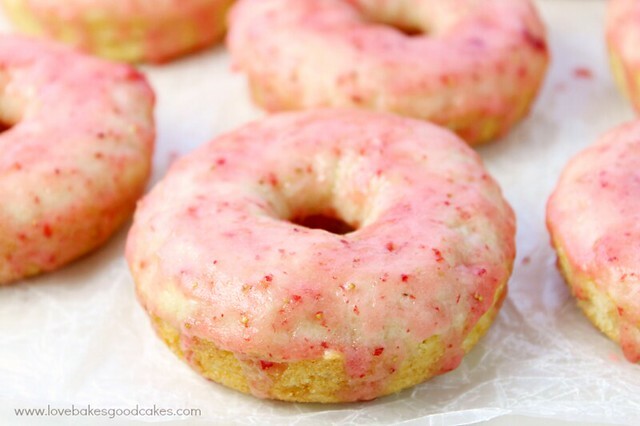 Since I’m in Spring-mode, I wanted to share a tender, moist vanilla cake donut with a fresh strawberry glaze. These Vanilla Cake Donuts with Strawberry Glaze just seemed to scream, “Spring!” They are perfect for a weekend breakfast and they’re super simple to throw together! 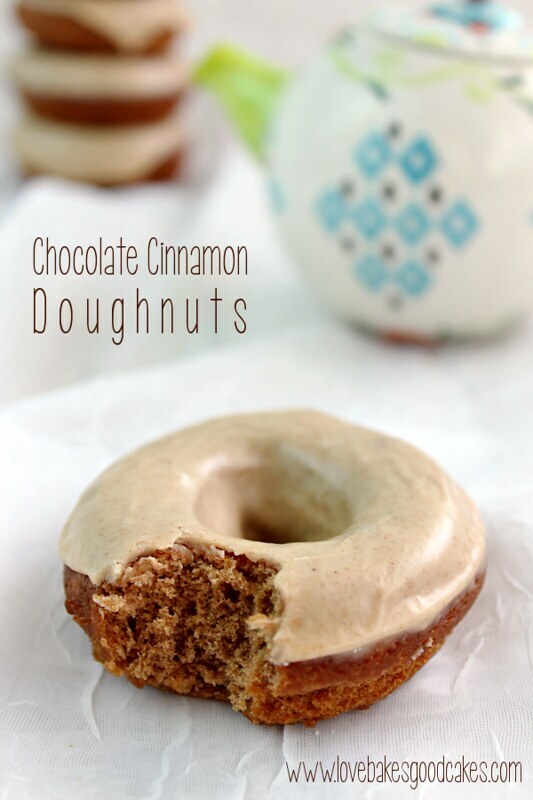 All you need is a donut pan and a few common ingredients. Since I’m in Arizona, fresh local strawberries have been showing up in stores already! Wooo-hooooo! Hopefully, you’ll start seeing fresh local berries in your stores soon if you aren’t seeing them already! 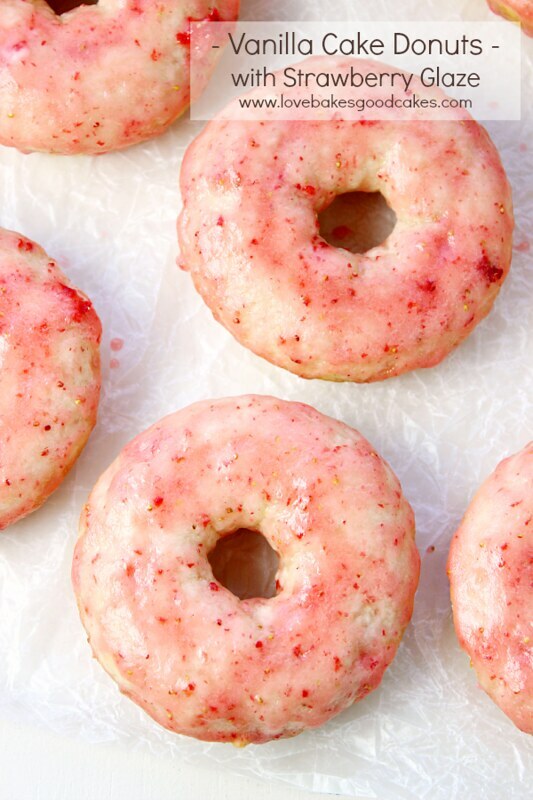 I can’t help but think how perfect these Vanilla Cake Donuts with Strawberry Glaze would be for Valentine’s Day …. or Mother’s Day … or any time, really! Enjoy! 1. Preheat oven to 350°F. Generously grease two 6-cavity donut pans. Set aside. 2. In a medium mixing bowl, whisk together the flour, sugar, baking powder, salt and baking soda. With a pastry blender, cut the butter into the flour mixture until it resembles coarse crumbs. 3. In a separate medium mixing bowl, beat the eggs, sour cream and vanilla until well combined. Pour the egg mixture into the flour mixture; mix well. 4. Carefully transfer the batter into a large zip-top bag. Squeeze out as much air as possible while sealing the bag. Snip one corner from the bag and pipe the batter into the prepared pans, filling each cavity about two-thirds full. 5. Bake for 9-11 minutes. 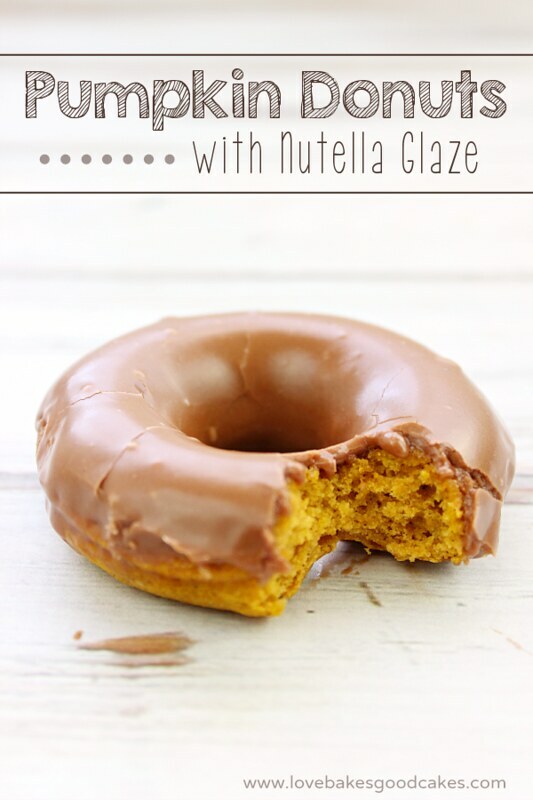 Allow the donuts to cool in the pan for 5 minutes then carefully transfer them to a cooling rack to cool completely. Puree the strawberries in the bowl of a food processor. Add the powdered sugar and blend until combined. Transfer the glaze to a shallow bowl. Dip tops of cooled donuts in the glaze and replace on the cooling rack with glaze side up OR use a pastry brush to brush the glaze over the tops of the cooled donuts. 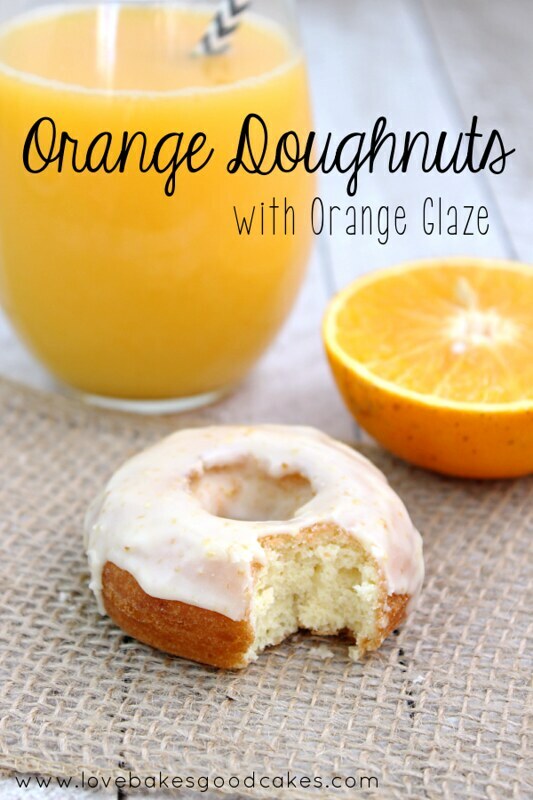 Be sure to check out the rest of the donuts in the #12bloggers series – there are some pretty tasty choices! They all look so good, I don’t know which one I want to try next! These look beautiful and yummy! Good job! These donuts are so pretty! They really make my think of spring and happy thoughts. 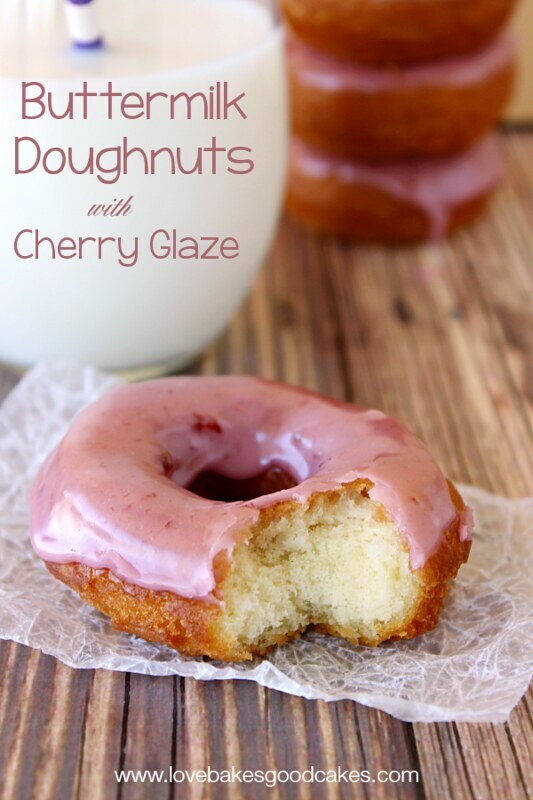 These look so soft, fluffy…and oh, that strawberry glaze! 🙂 Pinned and stumbled! I'm drooling looking at all these donuts! These strawberry vanilla ones look incredible! 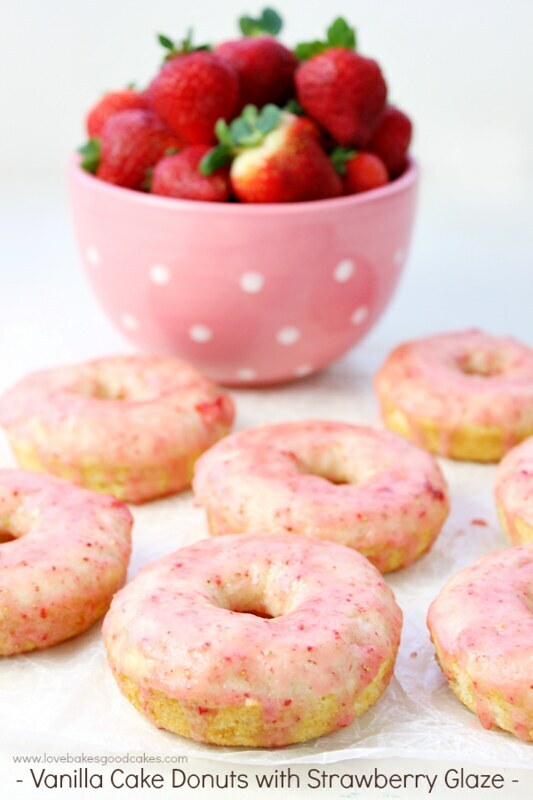 Need to get me some donut pans…..
Do strawberries have to be fresher or would whole organic ones work since they will be pureed.